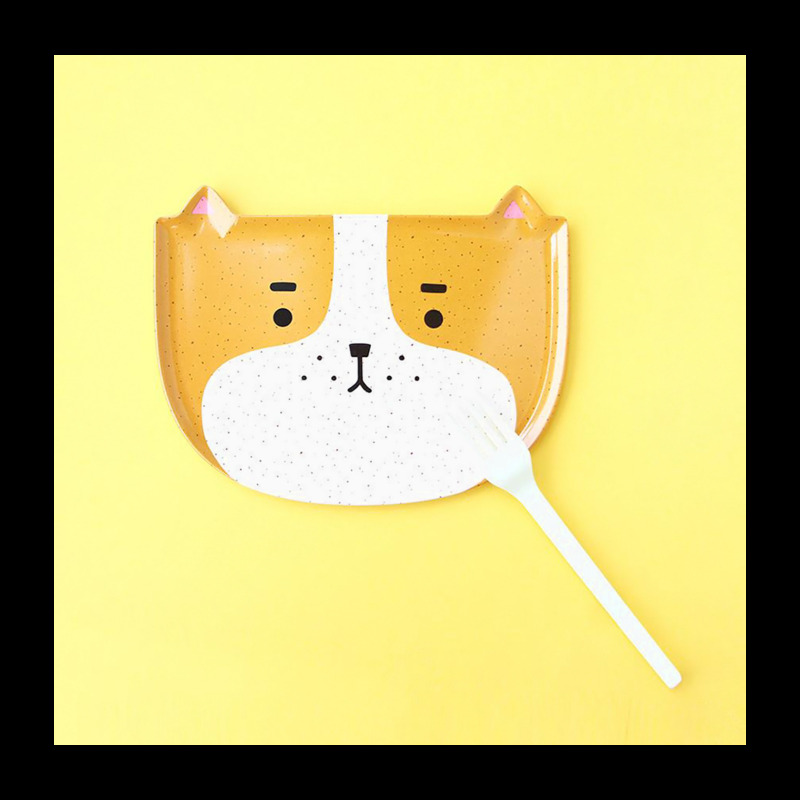 Adorable dog plate made of bamboo fibre with a glossy/satin finish. 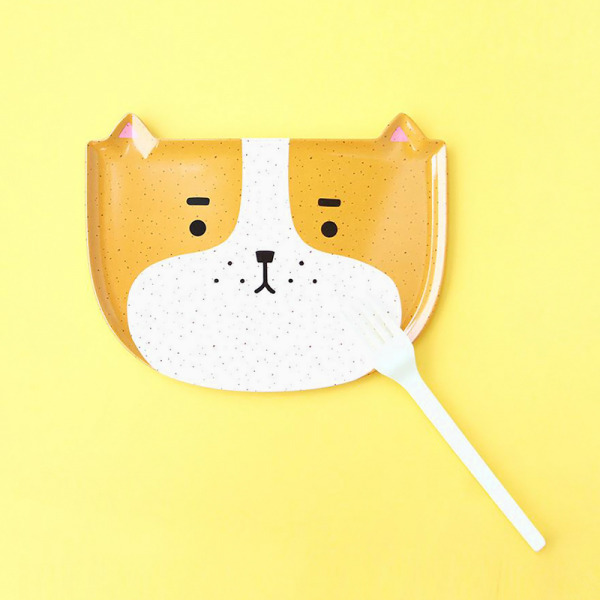 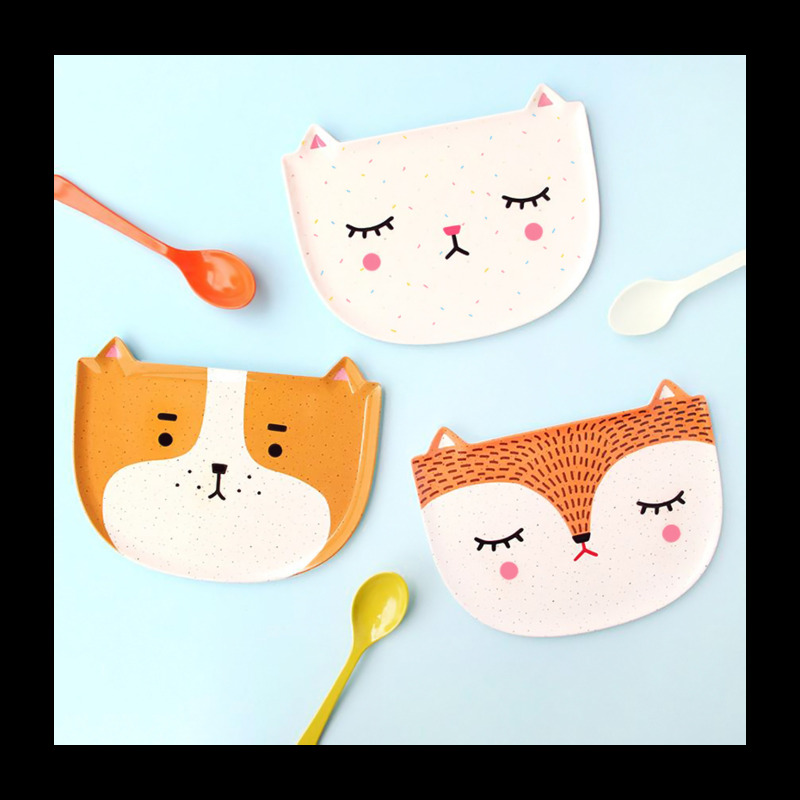 With a sweet face and matching ears, this plate can also be used as a small tray to serve cookies and others sweets at tea-time. 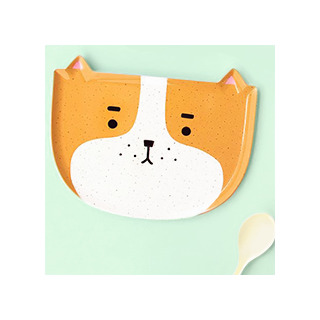 Dishwasher safe but no suitable for microwave.